I want this rocking chair even though I already have two. 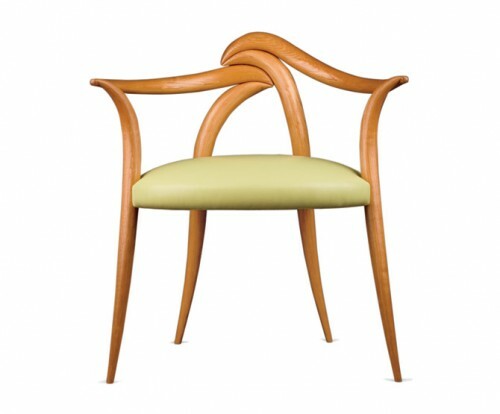 Exquisitely simple yet this English sycamore Signature rocker has light organic shapes that are most alluring. 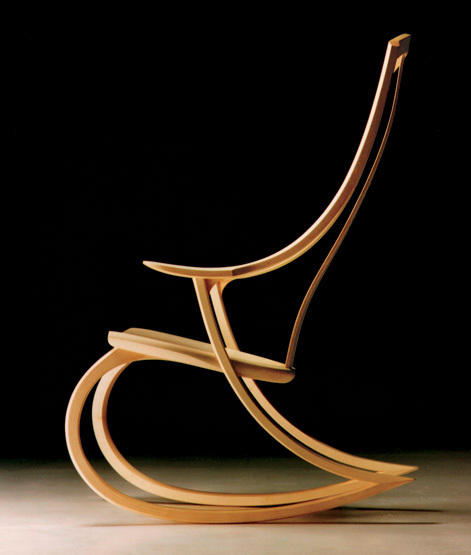 These designs are products of the Center for Furniture Craftsmanship in Rockport, Maine. This is a school where the craft of woodworking has been elevated to an art form. The students are obviously encouraged to use their imagination. I’ll take this chair as well. Almost three legged in its appearance but still managing to wrap itself around you. Again there is a natural tendency to view the chair as part of a tree rather than wood furniture. Here is another interesting place to sit. 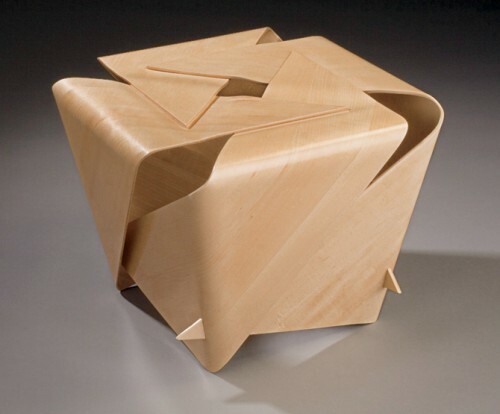 A maple veneer stool that reminds me of a wrapped up box where the curved surfaces instill an organic feeling. This entry was posted in Design, furniture by Judy Weiss. Bookmark the permalink.